I was listening to a podcast review of Star Trek: Into Darkness and I was a little surprised to hear some of the people on the show say they felt some of the characters were inconsistent from who they were in the 2009 film. Likewise, I have also heard some complain that Tony Stark was inconsistent in Iron Man 3 compared to how he was before. I disagree with both of these viewpoints, but it did get me to thinking about consistency in characters in stories (primarily from movie to movie). Just when is the character experiencing a natural change in their arc, and when is it just out of character? Personally, I found Elizabeth and Will wildly inconsistent in the second and third Pirates of the Caribbean movies as to who they were in the first one. But I know people who disagree. Why do some of us accept certain character changes and some of us not? I think part of it is how you view the story overall. For instance, I thought the second POTC movie was a ridiculous rehash of jokes from the first and that the third movie got way too serious. The first story was such a fun romp and I felt the next two films deviated from what made the first one so good. Since I did not enjoy the plots of the story and the twists that were happening, I felt that the characters themselves were taking actions that were not consistent with how I viewed them in the first movie. In the 2009 Star Trek film, Kirk is cocky and confident, much like Tony Stark is in Iron Man, Iron Man 2, and The Avengers. With Tony, I think we start to see him change in The Avengers, when he makes the decision to sacrifice himself (though ultimately he makes it out fine) to save all the others. In Iron Man 3, he is wrestling with what he experienced in that moment: being worried about Pepper, shocked by the fact that aliens are real, etc. I could see the thread of what happened. 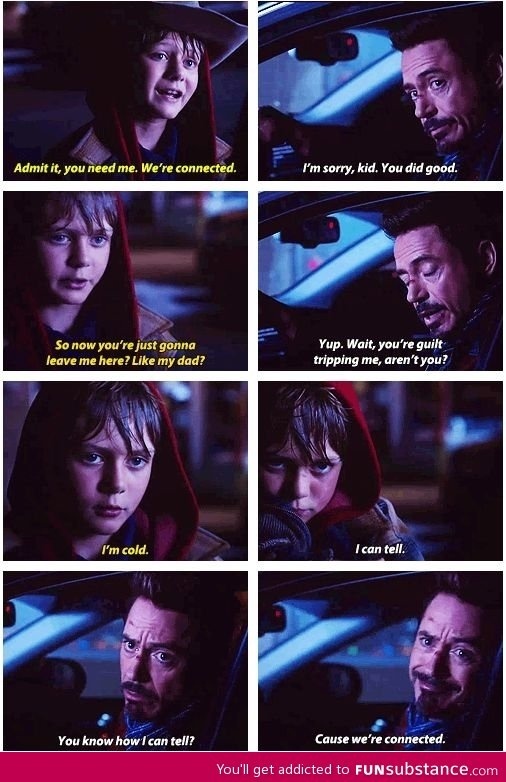 And he still certainly had plenty of Tony Stark moments. With the Star Trek films, I admit it’s not as clear cut. At the end of 2009, Kirk gets the Captain’s chair at an extremely young age and with virtually no experience. In Into Darkness, he appears to be much the same, taking big risks with the belief that it will always work out fine. He gets lectured that it won’t always be fine, but none of that means much until he (SPOILERS for the rest of this paragraph) sees Pike die. Pike is like a father to Kirk, so his death really rocks his world. He wants to hunt down the man responsible, but he also has to learn what risks are necessary and which ones are not. It’s hard to fit so much change in a two hour film without it feeling too forced, but at the end Kirk makes a decision like Tony does. Maybe there could have been better ways to develop these two plot lines, but for me, they were fine. But I also embraced the entirety of their stories. If a story is filled with plot holes and weird twists that no one believes, people are not likely to buy into what the character is doing either. I was listening to another podcast called “Writing Excuses” (what can I say, I’m a podcast junkie), and in a recent episode they were discussing why the writing in The Avengers worked so well. One of the main things they praised about the movies was the consistent character voice, and for ALL the characters! But they said there were even a couple of times that the voice was not consistent but it was so well-played it didn’t matter. The big example of this was with Thor’s line about Loki being adopted. They said it was OK with them, even though it didn’t sound like something Thor would say, because the joke was perfect, it needed to be shared, and Thor had to be the one to deliver it. I think the example of Pirates of the Caribbean works well for this. I did not feel the tone of the second and third movies were not consistent with the first. And going back to The Avengers, though Thor’s joke was not consistent with his individual character voice, it was consistent with the tone of the movie and the dialogue in general. This might be why some struggle with Iron Man 3 or Into Darkness, because both movies are a little darker than their predecessors. I personally do not find them to be such large departures, and I find the overall tones still consistent, but there is some change. I mean, among Iron Man, Iron Man 2, The Avengers, and Iron Man 3, there are three different directors at work. But tone can change as the characters grow, it’s just a matter of balancing the change tone, character, and story in a way that is believable and trying to stay consistent in voice and other areas. It is extremely important for writers to remember what they (or other writers working on previous projects before them) have written about a character. Likewise, it’s important for the character to have actions that match up with their personal back story. Sometimes the writer may not know the back story for the character until a lot about the character has been written, but as long as it matches with the character’s behavior, that is fine. Kirk from the J.J.-verse is different from Roddenberry’s Kirk. This Kirk lost his father and thus grew up in a very different household. He had the same mother and he still lived in Iowa, but one major difference completely changed the way he was living his life. So when the 2009 and Into Darkness Kirk is more immature and more reckless than the original Kirk, it makes sense, because he didn’t have the same strong father figure. When there’s a disconnect between a character’s past and their present, without a middle that connects the change between the two (which would be more backs story we would need), we find the whole character unbelievable. But no matter how hard a writer tries to balance all of these things, not everyone is going to agree on what works and what doesn’t work. It is the nature of art. What do you think? Who are characters that you believe show great consistency throughout their story arc? Who are some characters that you feel do not? Oh great post! I actually don’t often consciously think about character consistency in movies. I may notice a difference and my thoughts about a movie may be negative, but I don’t often take the time to actually sit down and think about it. Books on the other hand? Yes. Characters can change and grow, but you want to be able to understand why and see that there is some kind of motivation behind it other than the writers just changing things up. And I agree with Pirates of the Caribbean 2 and 3. The only reason I watched them was for good ol Johnny Depp. Compared to the first one though, they’re just not as good. Yeah, the principle definitely applies to books as well, especially when you have a trilogy or series and you see the character go through a lot. I watched 2 because I liked 1 so much. I watched 3 hoping it would remedy 2, but it just made it worse. In my mind, they don’t exist. I haven’t had the heart to watch 4 even though it just focuses on Jack and has to be better than the other sequels. This is a great post! Unfortunately, I don’t feel like I have a not to contribute, since I haven’t seen most of the movies you discussed, and I don’t watch a lot of movies in general. But I can wholeheartedly agree that when a character is inconsistent, I notice, and I get annoyed! I guess this can happen with TV shows. I know I’ve yelled “he/she wouldn’t do that!! !” at my TV screen once or twice. Probably for shows like Battlestar Galactica (man, that show is irritating). TV series are definitely a place where characters can easily go awry with so many seasons and writers and directors. I have heard so many good things about Battlestar and have been interested in watching it; what do you not like about it? I mean… Okay, it’s a good show and I’m glad I watched it. I just got annoyed with the characters ALL THE TIME. Like… my personal subtitle for the show would be BAD PEOPLE MAKING BAD DECISIONS, because that seems like the majority of the plotlines in that damn show. Ugh, god. Ha ha, gotcha, Have you ever seen the show Friday Night Lights? Because that’s pretty much the perfect way to describe that show. Good post. Thanks for the Writing Excuses podcast mention as I’m always looking for good writing podcasts (feel free to mention any more you like). The thoughts in the post will assist in my current project as well. 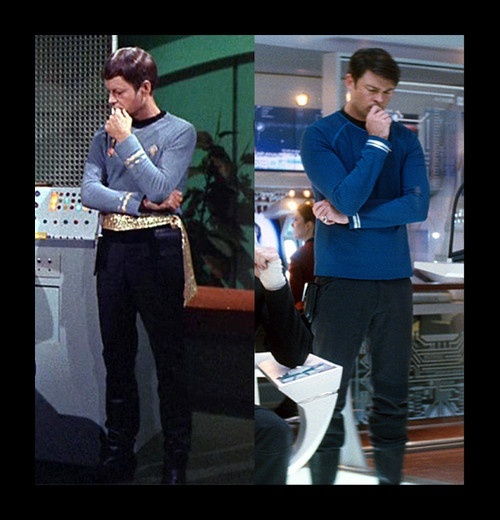 Since you mention Star Trek and Character inconsistencies I have to mention this. I can stomach most but the Spock/Uhura romance and tender moment scene from the 2009 movie was the most out of character thing they could have made Spock or anyone do. It totally went away from everything his character was in the original series. It made for a very long ride home from the theater for my wife having to listen to me rant on it the entire way. He’s a Vulcan who holds in his emotions. Yes he is half human, and being around humans brings out more emotions in him, and there is also a closesness between him and Uhura in TOS though it is never really addressed. The problem is this is young Spock barely off of Vulcan with Uhura he hardly knows and he is going to have a tender moment with her like that? It took all I had to not have the Trekkie geek in me yell out “Oh come on! Really??!! !” in the middle of the theater (wife would have killed me). Writing Excuses is the only writing podcast I’ve added to my iPod so far, but if I find more I’ll mention it sometime. The episodes are short but they give such great tips! I have to admit I am still struggling with new Spock. I want to believe that something happened in this universe that made him yield more to his human side in regards to romantic love, but they sadly never really showed us that. So I would agree he is definitely inconsistent with old Spock, and I think this goes back to consistency of back story. In 2009 it would have been nice to have backstory that made sense for new Spock. Maybe the bullying from the Vulcan kids was supposed to be it, but since I don’t know if Prime Spock was bullied as a child it’s hard to say. Why were Vulcan kids bullying anyway? So no, Star Trek certainly does not have perfect consistency. For this post I was mostly defending Kirk in Into Darkness. Thanks for getting me to think more about Spock’s character though! There definitely needs to be growth. The trick is to get all of us to believe it’s the right growth! Another great post Amy. There is a fine line between consistency and development. We all change and evolve. However that change should be shown clearly and then I can buy in to it. Otherwise, it just verges into the ridiculous. Thanks, Trish! And you summed it up very nicely! This post is going to combine some thoughts about what you’ve said and some of the various comments. I think that when it comes down to it, your problem with Pirates is plot and NOT character. I know you don’t like the story direction, but I have absolutely no problem in the slightest believing that the people from the first movie reacted the way they did for the rest of the series. Again, people change. Will is no longer a simple blacksmith, Elizabeth is no longer a mildly mischievous governor’s daughter. As I posted elsewhere, 3-1-4-2. 3 is epic, 1 was fresh and fantastic, and 4 was a solid and fun flick. In hindsight, 2 is really the only one that I have major “meh” feelings about, though there are also some great moments like the Jack-Will-Norrington sword battle. As far as the rest of your points, we’re in pretty clear agreement overall. Though, in regards to both Battlestar Galactica and Friday Night Lights, I actually GREATLY appreciate those shows because of the contrast that they show with Star Trek or the like. Throw people into the crap, or give them funky surroundings, people are going to have issues and make bad decisions. See: In The Pale Moonlight. So in a lot of cases, I find those shows realistic in the way people behave, at least in my experience. It also hurts my soul that you compared Friday Night Lights to In The Pale Moonlight. As far as In The Pale Moonlight, it is definitely Heroic People Doing Bad Things In Bad Situations. For The Uniform might be another good example. Friday Night Lights is (primarily) Young People Doing Stupid Things In Bad Situations, with a dash of Stupid People Doing Stupid Things In Bad Situations. Not too far off in my mind, but definitely more realism in the way people act. I will go to my grave considering FNL (at least seasons 1 and 3-5) some of the best TV I’ve seen. Ok, at least you see that difference between them. FNL was just a little more realism that I wanted, or at least season one, since that is all I can go off of of other than those strange first few episodes of season 2. It was a well-produced show, it was just like watching a continual train wreck. Out of the movies you mentioned I have only watched Iron Man 3 and Avengers, but I didn’t feel that Tony was inconsistent to his previous (Avenger) self. But honestly, I’m not too good on spotting inconsistency. Especially not in movies. Because people/characters change (for better or worse), so unless it’s HUGE and like totally out of nowhere, I probably won’t notice it or even if I do it won’t bother me. I didn’t think he was either, and I honestly only heard a couple of people say otherwise, so perhaps the majority of us to find him consistent and believable!